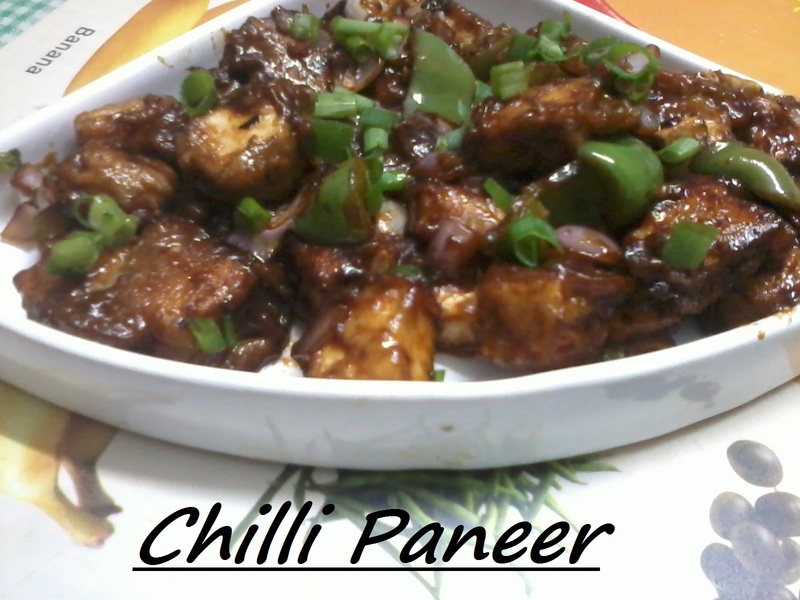 Chilli paneer is one of the most popular Indian dish that we find in Indo-chinese restaurants. It is also one of the easy-and-quick dishes to whip up when you are short of time and also a great dish to serve at parties as a starter or as a side dish. It is absolutely delicious. 1. 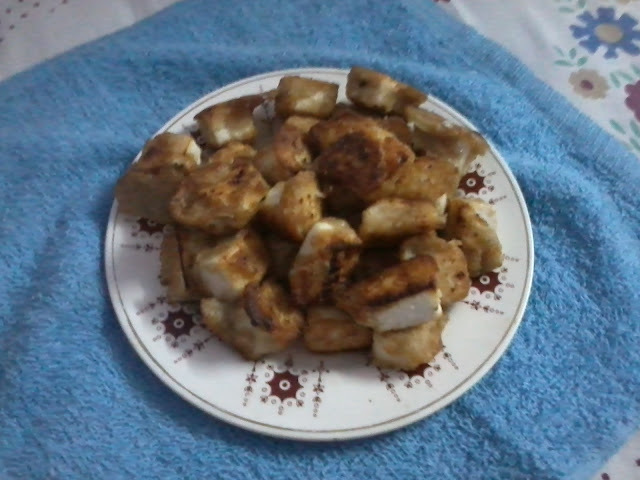 Cut paneer into 1" cubes and keep aside. 2.In a bowl, marinate the paneer pieces with maida, cornflour, ginger garlic paste(1/2 tsp), salt, pepper and little water for 10- 15 mins. 3. Heat oil in a pan and fry the marinated paneer pieces till brown. Drain in a tissue paper and keep aside. 4. In a wide fry pan add 2 tbsp of oil and add chopped green chillies, crushed garlic and onions. Saute till slightly browned. 5. 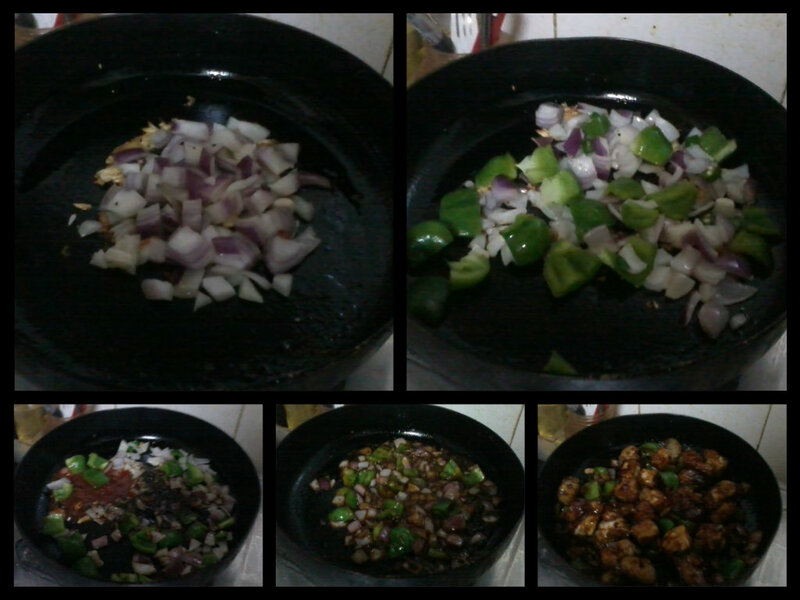 Add capsicum and fry for a minute. 6. Now add the sauces(soya, tomato and chilli sauce), vinegar,salt pepper and little sugar. Stir well until all the veggies are coated nicely. 7. 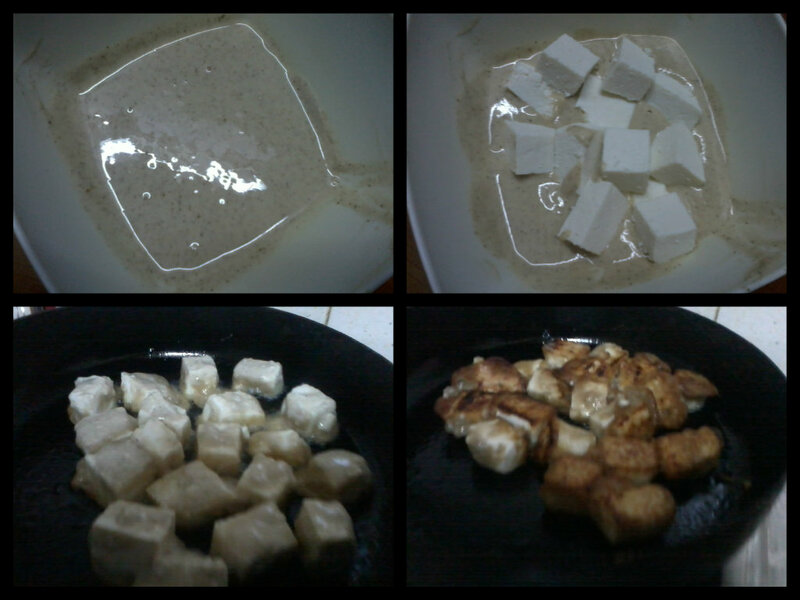 Add the fried paneer cubes and mix well, smothering the paneer cubes with the sauces. Add 1 tsp of cornflour mixed with water and stir well. 8. Remove from flame and garnish with chopped spring onions. 9. Yummy chilli paneer is ready to be served as a starter or as an accompaniment with fried rice or noodles. This chili paneer is so tempting and its my kind of food. We seldom eat paneer over here but I love how the combined the right ingredients for such a lovely spicy dish. Yum to it. Chilly paneer looks so delicious! Congrats on your awards..paneer looks yum! This is a great dish,love anything with paneer. mm....yummy...I love it.... Long time, in my to do list... Thanks for sharing. Congrats on all the awards Rita :) And the Chilli Panner looks so yum! Delish! I would love to try it with tofu. Congrats Rita for your award. Chilli paneer looks droolworthy. Loved this dry version. Khub taste korte ichhe korche. 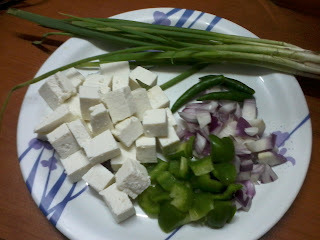 Paneer is one of my favs...looks delicious! 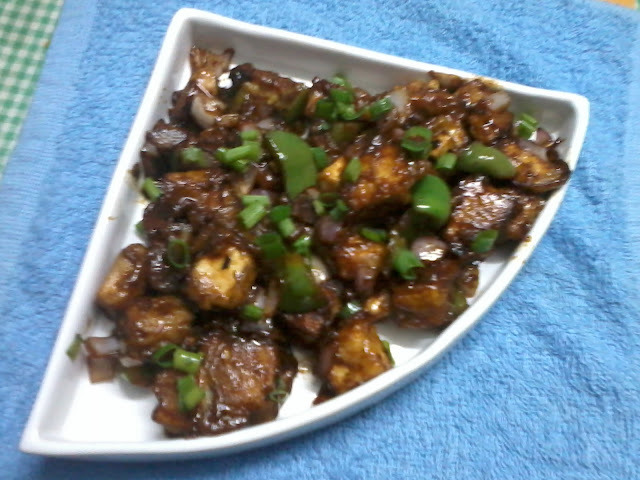 Chilli paneer looks very inviting and yummy. Congratulations on your awards. The chilli paneer looks delicious. And the step by step demonstrations are also so helpful. I will defintely try this out.